Let’s hear it for the red, white and blue! 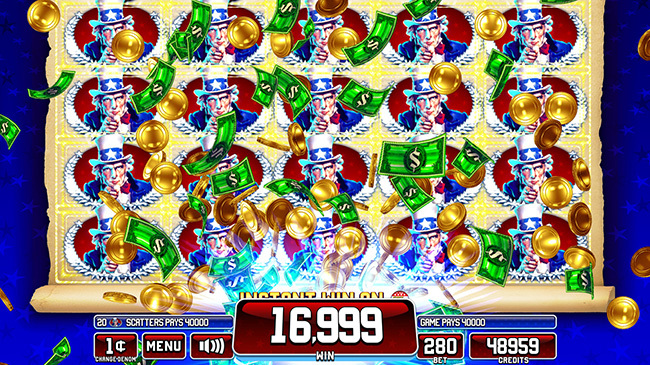 Star Spangled Riches™ by Incredible Technologies is a celebration of all things American and features a dazzling array of patriotic symbols and many thrilling bonus events. 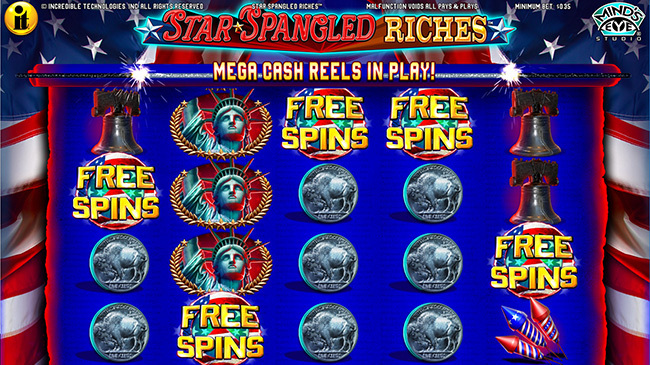 Star Spangled Riches features Connecting Scatter Ways® - an easy to understand pay mechanic that awards wins any time five or more symbols appear on screen, as long as they are connected starting from the left most reel. 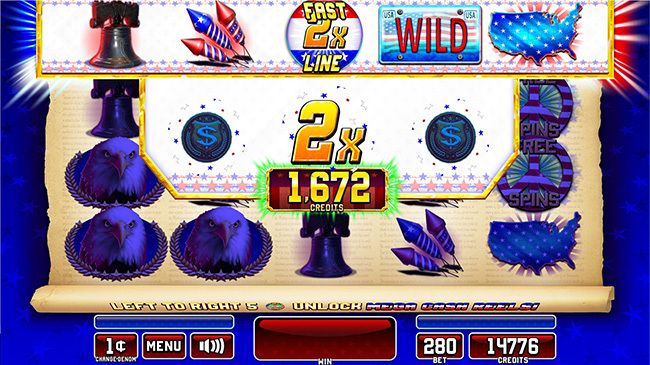 Star Spangled Riches also showcases Mystery Stacks of symbols, hidden behind an American Flag, that can reveal to any symbol - including the wild symbol and the free spin scatter! 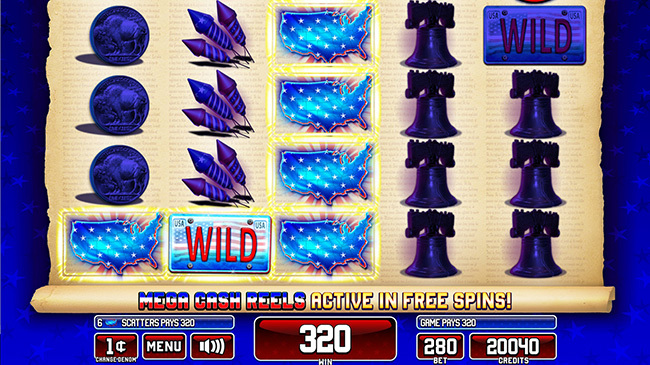 Players should be paying close attention because the Fast Line® Multiplier Feature can trigger on any spin with a scatter in the middle reel. The values of the symbols in that row are added together and the player must choose from three coins to reveal a multiplier which can award up to 4X the win! 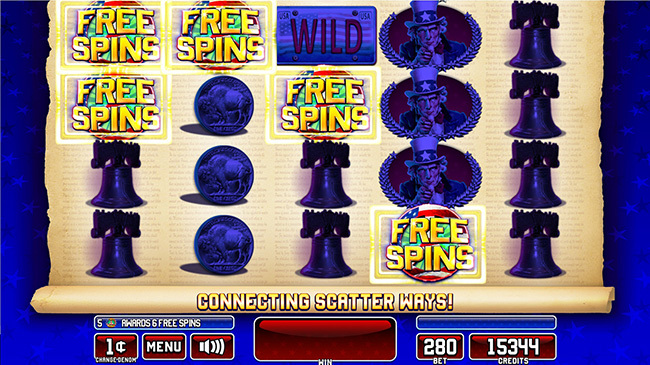 Players will want to stand and salute when the free spin event is initiated by five or more scatters - with the chance to retrigger up to 100 spins. 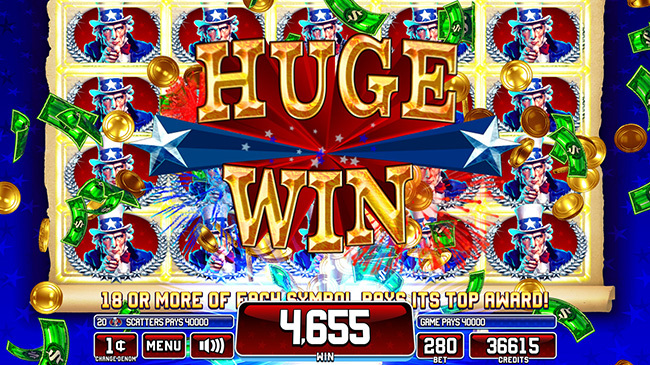 As the event begins, players are directed to look up to the top monitor of the game where the reels have expanded to cover the entire cabinet with Mega Cash Reels. Connecting Scatter Ways wins are now evaluated on this new 8x5 reel set for more chances to win!